The richest, most delectable chocolate cake you will ever eat - and it's got veggies in it!! I promise you won't even taste the veggies... but isn't it great that you can have dessert and veggies together?! I don't think I've ever been so happy and felt so 'guilt free' about dessert -- especially when it tastes this good! I promise it tastes even better then it looks, too! One of my favorite desserts are cinnamon rolls. But, to be honest a traditional recipe takes forever to make. You know what I'm talking about... you have to make the cinnamon rolls, and then they have to sit in the fridge allll night long and then you have to bake them in the morning. When I make something that smells as good as cinnamon rolls, I don't feel like waiting that long to be able to eat them. It's just a huge pain. So, what if we can have this scrumptious dessert without having to wait 8 or 10 hours to eat it? Aaand we can have it in CAKE form!! It's brilliant, in my opinion! So here you have it... a GIANT cinnamon roll cake, and it's low sugar! A truly heavenly cupcake, the taste and texture of these cupcakes will not let you down! These cupcakes are divine -- seriously! Every time I bite into them I'm continually surprised by their moist, soft texture, and bakery worthy taste. These are the best chocolate cupcakes I think I've ever had! A perfect combination of crispy on the edge and soft in the middle, you won't believe that these chocolate chip cookies are gluten free! We're back again after a long absence! I apologize for the long break. The last 2 months have been very busy with various things, including an extended family member of mine passing away. Thank you all for your patience! The other day I was fiddling around with this recipe, and I was so thrilled with the results that it brought me back here today to share with you this classic chocolate chip cookie recipe! One of the best things about it is that it's gluten free! This is one of the creamiest and most refreshing smoothies you can dream of, and it's the perfect healthy breakfast to start your day! It's packed full of delicious fruit and is super easy to throw together, and it makes you feel like you're in the tropics on vacation! How cool is that?! A wonderful combination of sweet and salty... these bites are the perfect snack to give you energy to get through your day! Hello all! We have a pretty cool post up for you today, not just because these energy bites are amazzzingg, but because Sarah and I actually got to make this recipe and take the photos in person!! It's always really special when we get to see each other in person, instead of online. 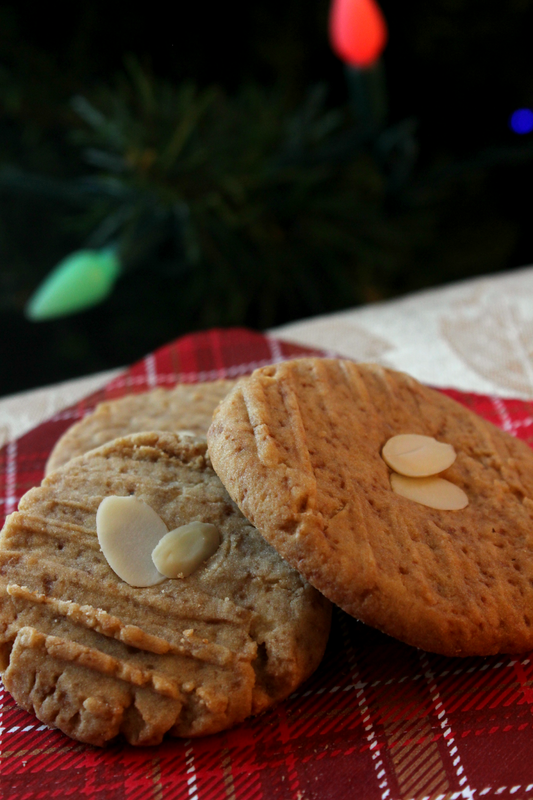 These cookies have an incredible dimension of flavour to them that you will love! It's almost like you can't put your finger on what you're tasting when you eat these delicious cookies. They have a hint of lemon flavor amongst the inviting almond flavor. Trust me, it's delectable! They're light and fluffy with a nice buttery consistency, and the couple of slivered almonds over top add a slight crunch in the centre. These are also super quick and easy to make! It's the perfect festive Christmas or New Year's cookie!